How Dismantling Your Scrap Metal Product Helps You Earn More? It is evident that you will get money in exchange of a redundant AC unit. However, when you disassemble the AC unit, you will have more scrap metal pieces like steel, and copper. This will get you more money as you will be allocating it basis the metal type. It’s because these separate units that are made from aluminum, copper and steel are priced separately at scrap yards. Similarly, it helps you get more money in return of wires at the scrap yard when you strip them. For instance, if you have got 60 pounds of wire, it will actually funnel down to say 30 pounds of scrap metal copper (Considering you want to cast the wire away). This practice, therefore, helps you to determine the exact value of scrap metal to be exchanged in return for money thus preventing you any loss. Also, it is always recommended to visit the scrap yard with a bulk quantity to get more money. 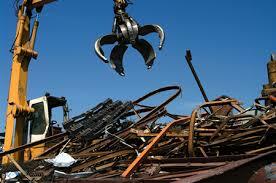 As mentioned earlier, it is always better to carry bulk quantity of scrap metal. It is because scrap yards generally work like playgrounds. So the kid with the largest pile of candies enjoys the greatest negotiating power. Hence, if you walk in to the scrap yard with not 50 pounds but 100 pounds of scrap, it will apparently help you get more money. We deal with ferrous and non-ferrous scrap metals in Dubai. Contact us to get optimal rates for your scrap metals.